I don’t know about you, but it seems to me that the world of children’s literature is being unfairly tackled lately. First, the New York Times published an article in October, entitled “Picture Books No Longer A Staple for Children,” (apologies – this link sometimes opens with an ad you have to skip) in which they suggested that picture books would soon be dead due to the high cost per unit and the fact that they’re too easy and parents are pushing their children to read chapter books sooner. Those of us who write picture books (and lots of other sensible people) understand that their value is inestimable, both in terms of what children can learn from them on so many levels, and in terms of quality of time spent reading them for parent and child. But it took letters to the editor and a retaliatory article in Publisher’s Weekly in December to refute the claims of the NYTimes article, and the general public’s perception of the worth of picture books was affected in the meantime. That’s all they see in YA literature? Sure, there are books that have vampire, werewolf and zombie characters (some might call this story-telling and entertainment), and sure, there are books that deal with difficult topics. But isn’t that the point of literature? Isn’t it important to have books that speak to all kinds of readers? Don’t we want our teenagers reading? I think we’re lucky to live in an age when there is such a broad range of writing. Some of the best writing there is has been done for YA. How can people look at the scope of YA literature and conclude that it’s all too dark? 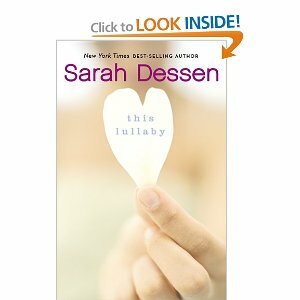 What about Sarah Dessen? Joan Bauer? The many other authors who write with humor and understanding about coming of age and the experience of being a teenager in today’s world? And why is literature taking the hit? What about computer/video games, TV shows, movies, and the internet? One can always find examples of something if one is looking. But to claim that all YA lit is dark and depraved seems to me a gross oversimplification. I would argue that for many teens who are struggling with the darker issues, YA literature is a place they can find solace and understanding, feel that they are not alone in their struggles, see how characters overcome their problems and how these issues may be resolved. If YA writers reach and help teens, how can that be a bad thing? Forgive me if I sound a little steamed, but I think both picture books and YA lit are being unfairly presented. What do you think? 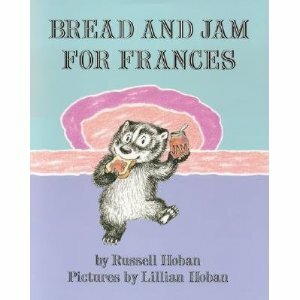 Are picture books useless/dead? Is YA literature an abyss of darkness? What do you think of these articles? Are they presenting an objective view? Is this really how people perceive picture books and YA? Should we, as writers, change what we write and how we write it? Jess, there was a lot of buzz about it back in October. But I think the YA article is downright insulting to YA authors, many of whom are very talented. Susanna, I think we are so lucky to live in a time when there IS such a broad range of reading materials available for kids, whether it be picture books or YA. Not all YA is dark – there's something for everyone.Grr! It makes me angry, too. The only time I ever even know there are articles to read about books are when someone posts them on their blog. The rest of the time, I'm too occupied actually reading the books to read about reading. You're right to be steamed up about this…and a lot of people are with you! Amen, Susanna. Very well said. I agree with the other commenters. You said what I feel, too, and beautifully. How come I don't hear the same outcry over the junk teens are writing on Formspring? Why aren't parents worried about movie and TV content? I talk to 5th and 6th-graders, who are exposed to things that make me cringe. Yet we demonize books. Books that help teens. Books that make teens smarter. Book that expand their worldview. Books that help them escape. It seems to be like children have never been more interested in books, organisations should take advantage of that not do us all down. Brenda, Andrea, Su, Damyanti, Megan, Brooke – thanks! Theresa and Catherine – here, here! I agree wholeheartedly!